The Center for Data Arts is a research lab and creative studio within The New School; we engage data as both subject and medium for artistic expression. CDA brings the agility and creativity of a working art studio to bear on complex data problems. We produce large-scale media installations, open-source software, original academic research, and multimodal experiences that make intuitive sense of inscrutable data. Working in collaboration with scientists, humanities scholars, policy makers, and artists, CDA’s work expands the boundaries of data representation, pioneering radical new techniques for transforming complex information into meaningful narrative experiences. We bring these topics to a wider audience through public programs, workshops, exhibitions, and our weekly online publication, Data Matters. The Center for Data Arts initiates original research, and undertakes art and design projects in both the private and public sectors. Qualitative Data: how can we use qualitative data to visualize connections, relationships, and dynamics within a given system? Human-Centric, Data-Driven Interface Design: what would a taxonomy of the methods for communicating data look like? Data Realities: how can we make use of VR, AR and other emergent technologies to experience data in multidimensional space? Multimodal Data Representation: can sound, motion, light, haptic feedback, and physical simulations enhance human experience and understanding of data? Data Economics: how do we value and price data? Cognition & Learning Science: how do we perceive and learn from data? Information Aesthetics: How do language and metaphor influence our understanding of complex data? Data Democratization: how can we make data exploration accessible to everyone through data literacy outreach and education? Responsible Data Practice: how do we approach the ethics of ownership, control, and privacy in an information-saturated world? Our artist-led team believes that data can only be understood in its social, cultural, and economic context. As an independent center within The New School, CDA is uniquely positioned to leverage diverse expertise and energy from every part of the university, creating opportunities for one-of-a-kind collaborations and encouraging new hybrid practices among students, faculty, and industry professionals. Our project teams also draw talent from The New School’s programs in anthropology, economics, journalism, strategic design, music, cognitive science, and public policy, among others. And CDA looks to Parsons, The New School’s world-class art and design school, for product and interface designers, architects, urban planners, graphic artists, writers, and fashion designers to rethink creative problem solving in terms of large-scale data exploration. What if we could unfold data, or slice it down the middle, or turn it inside out? The Center for Data Arts brings together data science and design to create new tools to interact with data, new language to discuss it, and new metaphors to make sense of it. We strive to tell stories grounded in data with rigorous accuracy and emotional resonance, empowering individuals to harness the meaning and power of large-scale data and computation. The Center for Data Arts addresses fundamental questions: What and how do we learn from data? What cognitive and sensory technologies can help us grasp and feel the fabric of information around us? Using advanced realtime graphics, immersive physical environments, and virtual reality, we aim to fluidly integrate data with our sensory perception of the world. Our practice redefines data visualization to include sound, touch, space, and motion, along with interaction and simulation, resulting in expressive multi-sensory data narratives that make the most of our human perceptual and cognitive strengths. Data is never self-contained; it comes into existence only when someone expends resources to gather and record it, and its meaning is inextricable from its context. Faced with a specific situation, such as an intensive care unit, a family home, or a trading floor, we seek to understand how information enters and flows through the environment. At every point, we examine who is controlling the collection of data, the access to it, how it is used, and we observe the ways cultural, economic, and institutional forces may affect both the data and the decisions it drives. The Center encourages a creative tension between radical innovation and critical perspective toward emerging data practices. We are committed to active and mindful engagement with the political, legal, and ethical concerns around information technology, including data rights, privacy, ownership, and control. The New School’s history establishes it as the vital heart of New York’s intellectual avant garde. Building on that foundation, the Center for Data Arts functions as a creative and intellectual hub for the study of information systems in society and in our personal experience. The center draws on the incredible diversity of The New School community to set new standards of excellence for creativity and critical thinking in data research, information design, media art, and technological innovation. 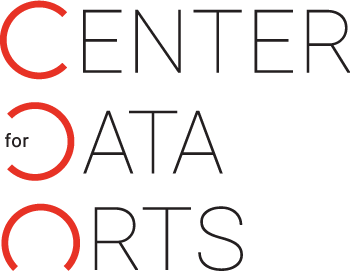 The Center for Data Arts maintains a world-class team of research and design professionals. Artist and designer Ben Rubin is the Director of the Center for Data Arts at The New School, where he is an Associate Professor of Design. Rubin’s innovative applications of media and information technology have been seen at museums, public spaces, and performance venues around the world. Rubin’s best-known work includes the media installations Moveable Type (2007), a permanent artwork for the lobby of the New York Times building, and Listening Post (2002); both installations were created in collaboration with Mark Hansen. Rubin’s groundbreaking projection design for Arguendo, a play by Elevator Repair Service, earned him an Obie Award in 2014. In 2013, with Mark Hansen and Jer Thorp, Rubin co-founded the Office for Creative Research, where he led many data visualization design and user interface projects. Rubin’s design clients have included Microsoft, EES Surgical Instruments, HP, and IBM, as well as architects SOM, Pelli Clarke Pelli, DS+R, and Ennead. Rubin received his BA in Computer Science and Semiotics from Brown University in 1987, and his MS Vis. from the MIT Media Lab in 1989. Katie Wanner is the Center for Data Arts’ problem-solving point person. With more than ten years’ experience in higher education, she is the longest tenured team member at CDA. Katie’s fondness for The New School began during her undergraduate years when she received a Bachelor of Arts degree in Psychology from The New School for Public Engagement. In addition to research in human behavior, Katie has had a lifelong interest in communication; a skill she leverages every day in her effort to build positive experiences for both clients and team members. In her spare time, she is pursuing a Master’s of Science in Education with a concentration in Clinical Rehabilitation and Mental Health Counseling from CUNY Hunter College. Sam Galison is a transdisciplinary artist, designer, and technologist. As CDA's in-house Design Lead, he oversees the visual, technical, and experiential aesthetics of CDA's outward-facing projects. His studio work ranges from ink and pencil to optical glass to music and experimental, interactive electronics. He has worked as a graphic, web, and physical-media designer at various creative agencies and educational institutions, and has taught interaction design, graphic design, and media-based fine art courses at New York University, Brown, the Rhode Island School of Design, and Parsons. He holds a BA in “Affective Engineering” from NYU Gallatin and an MFA in Digital + Media from RISD. Anne Luther is a researcher, arts manager and software developer whose work examines the contemporary art market and data visualization in qualitative research. She received her PhD from Central Saint Martins College of Art and Design, London, is currently the research manager at The Center for Data Arts at The New School. Her research is grounded in cultural studies, qualitative methods and data analysis and emerged into the successful implementation of new software for data visualization in qualitative research. Before May 2016, the Center for Data Arts was known as the Parsons Institute for Information Mapping (PIIM). Our new name reflects the evolution of the center's commitment and priorities under its new director, Ben Rubin, who joined The New School in 2016.